…by the tender age of just 15 Matt was already establishing himself as a radio and club DJ in Hertfordshire, UK where he grew up. …at age 18 he turned down a university place offer to go club DJing in the Greek Islands (well, someone’s gotta do it)! …by his twenties he was rocking the airwaves as a presenter on a UK breakfast radio show. Then the untamed spirit of adventure (and a romantic encounter, wouldn’t you know it) prompted him to up-sticks and move half way around the world to a new life on the sunny shores of Australia. 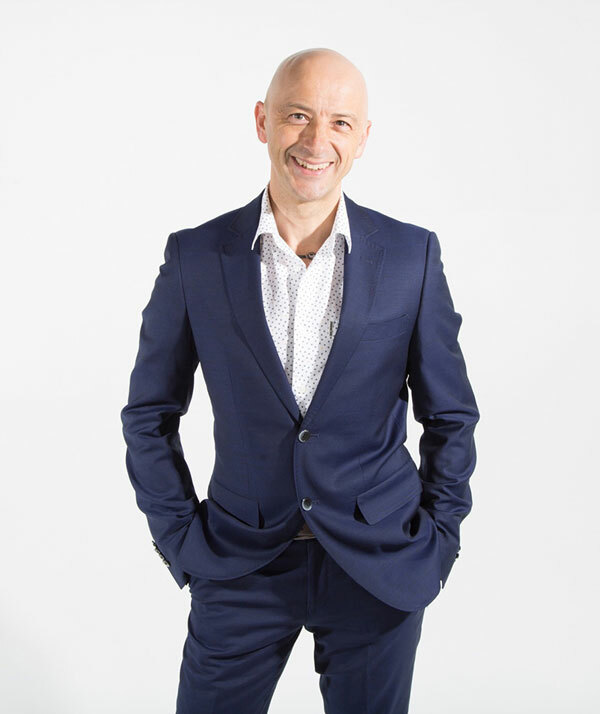 Within months he’d landed a spot as a comedy writer for Triple M radio, eventually moving on to establish himself as a highly popular producer and presenter for 96FM (winning 3 coveted national awards along the way)…and later as a presenter for a Channel 9 TV travel show. Somewhere in the middle of all this was a year of traveling the world as ‘Crap Elvis’. I kid you not—ask him about it sometime. Quick backstory—at Matt’s 21st birthday party there had been a hypnotist. Ever since then he’d been utterly fascinated by the idea of what the human mind could achieve if given the right environment and encouragement. Naturally, being Matt, he thought, “I bet I could do that”. …Matt went out and found the best teachers in the world. He travelled to Europe and the US to learn the secrets of the masters. He crafted, re-crafted and perfected the perfect stage presentation—earning rave review after rave review from audiences around the world. Now he’s available to take YOUR attendees to new heights of productivity and performance with some clever mind hacks (and possibly make their faces ache from laughter — you’ve been warned!). P.S. Matt’s favourite past-times are surfing, snowboarding and travel with his lovely lady, Kathryn. (Nope, not the original love interest but that’s a whole other story). P.P.S. Yes, he really IS this fun, energetic and upbeat! Your audience will love him. And more importantly, will get a ton more stuff done. Just saying.